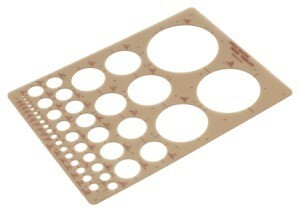 Crafters often need to be able to cut circles of varying sizes. Rather than spend a fortune on plastic templates make your own using recycled materials and circular items such as cans or dinner plates. This is a guide about making reusable circle templates. Being an avid crafter, I often make projects that require a circle cut from something. I would search through the house, finding an item that was the correct size circle, such as a can of soup.